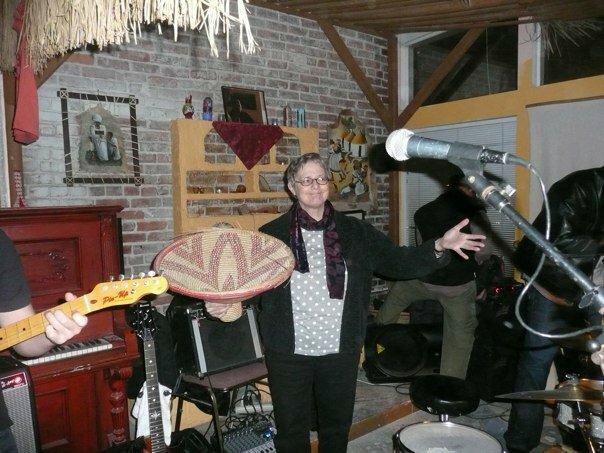 African Music Nites is produced by Claire Jones, who began organizing the series initiated by Rob Pastorak at the Hidmo Café in September 2008. My aim is to present music of Africa and the African diaspora in a communal atmosphere. Above all, I look for music that is danceable – so that the audience and performers are equal participants. I have a long history in the performance and promotion of African music, and am dedicated to supporting and nurturing the local community of performers and lovers of African music. Dr. Claire Jones, PhD, Ethnomusicologist, Educator and Arts Consultant.